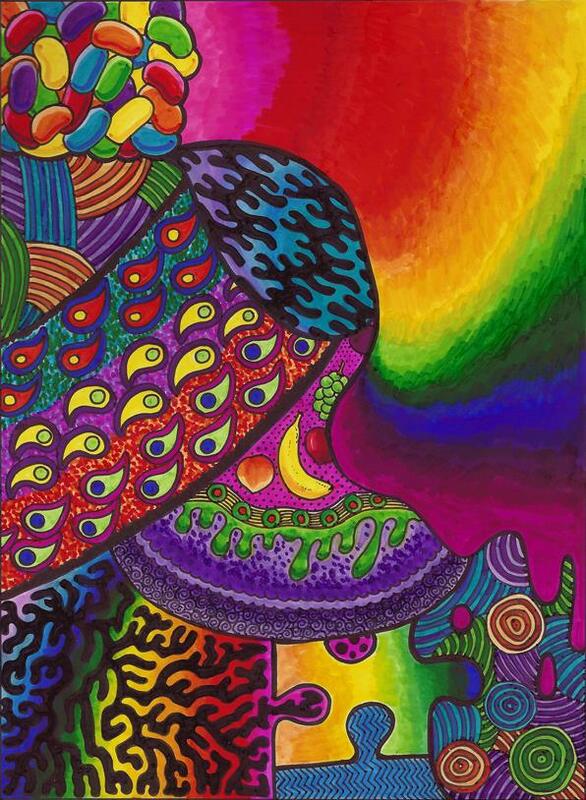 Art, News, Stories, Sub Boxes, Try the Thing! I’m always up for new experiences, but around my birthday, I seem to pack in even more firsts. 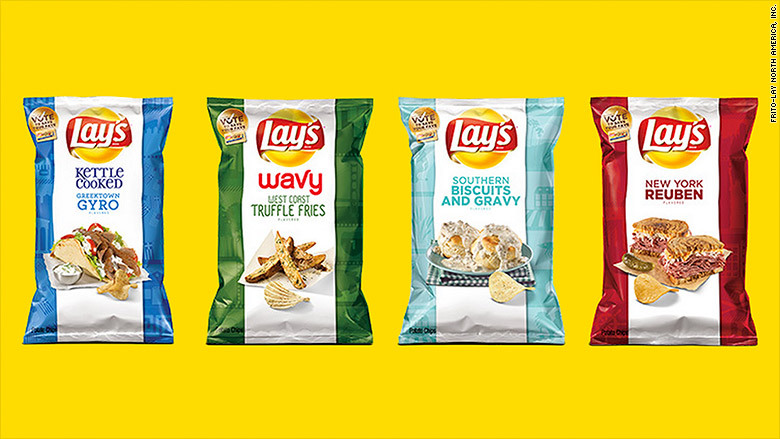 I started out, possibly at the end of July, with the new Lay’s potato chip flavor winners from the Do Us a Flavor contest. The winners were Southern Biscuits and Gravy, New York Reuben, West Coast Truffle Fries, and Greektown Gyro. This year, I was fortunate to find a display of the full set in snack-size bags a Walgreen’s, so I got to test and share with friends. The results? Biscuits & Gravy is probably the winner all around. The flavor is mostly sausage seasoning, which you wouldn’t think would go on a chip, but it works. You could have this chip for breakfast. Truffle Fries smelled weird. A little fishy or like old grease. The taste wasn’t novel. It really just tasted like Sour Cream and Onion, so while it was tasty (ignoring the smell) it didn’t really add anything new to the existing chip selection. Reuben was confusing and off-putting for many people. When I opened the bag, I immediately smelled the sauerkraut. Lots of people said “That must be pickle, like the pickle in the picture.” On the tongue, you get the beefy flavor, a little cheese, and then at the end as you swallow, you get the rye bread flavor. I enjoyed this one. I’ve gone back for a second bag. Gyro got the worst feedback. We live in the middle of Texas and most people here haven’t had a gyro, self included, but I understand the ingredients. When you open the bag, it is pungent. It smells like dill. Just the herb. I think this was throwing people off. Most people hear dill and think of pickles. Forget about the vinegar and appreciate the herb. That’s the main flavor that hits you. There’s a bit of feta and very lamby musk at the end. I’ve heard people say it tastes like a moldy basement. Sheep, lambs, and goats all have a very specific musk that gets into every food made from their meat or milk. I don’t mind it, because I raised goats, so it just reminded me of being a kid (no pun intended). I am, however, forbidden from eating this chip around my boyfriend due to the smell of my breath during and after. Another new thing I’m doing this month is crystal meditation. 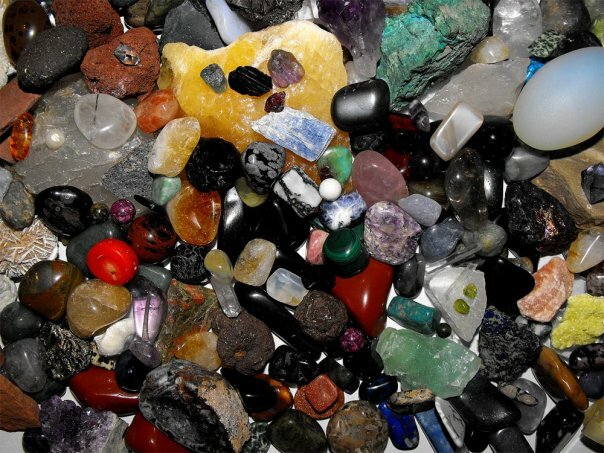 I’ve collected stones and crystals over half of my life now, and while I’ve always been curious about new age and occult, I admit I’ve rarely done much work with my stones. From time to time I would charge them and make juju bags for friends (citrine and jet to fight off nightmares, for example, works wonders). My beliefs have grown and changed over the years, and while I am a firm believer in psychosomatic, mind-over-matter and placebo sorts of things, I’m not religious. I’m not even what most people would consider spiritual. I feel like science is my religion. That we can know our spiritual creator through science and that it is an ongoing quest. We’re learning big new things all the time and we’re just barely scratching the surface right now. Since my mind and body need special care right now, I’ve felt a strong desire to take up focused meditation, which has been doing wonders for my friends. I was referred to a subscription service that delivers handpicked crystals monthly and asked for the August box for my birthday. Awakening in a Box is currently taking subscriptions for its fourth month and fourth box in the series of chakra-themed boxes. This month is the Heart chakra, which is just what I need. Also, because it’s my birth month, I’ll get a special extra in my box. I’m very excited to try it out. For just $19/month, you get three stones selected for your needs based on a registration survey, and at least one extra item to help you on your journey. It could be a piece of jewelry, handmade soap, a tool for oils or smudging, or really anything the curator feels will be most useful. Last month’s bag featured bath bombs. This month’s bag contains something from Saracen Provisions. One of the most helpful things I’ve already started doing this month is my random doodle drawings. I have a Bachelor of Fine Arts, and over the last few years, I can probably count on one hand the number of art projects I’ve finished. Almost all of that has been birthday presents. I have done very little art for me or for selling, even though I have lots of supplies and time to make it. I just haven’t felt visually creative. I can write a story, easily, with the characters playing in my mind, but when I sit down to draw or paint, I just don’t even know where to start. The good news is that my random doodles have gotten great feedback when I was just using them to blow off steam. Friends tell me the designs are really cool and they want to see more, and because it’s a benefit to my nerves to continue making them, I’m pretty happy to hear it. This led me to a possibly frightening step. I just put some very expensive art tools on credit as a result of the positive feedback. Being shipped to me, right this moment, is a 72-piece Copic marker set. Go check that out, I’ll wait… Right?! Did you see? How can they be worth it?! These are professional illustration markers. I’ve done all my work up to this point with Sharpies and BIC markers. The thing that makes Copic markers so special is the ability to blend them to almost watercolor appearance. I’ve never owned a set, because they’re insanely expensive to get into. Once you have a set, you can pick and choose the colors you know you’ll be using most often, and replace smaller parts. I needed to take a step in the right direction for a change instead of sticking to what I know because I’m afraid I won’t do well enough to recoup the cost. I’ve just got to start believing in myself. Everybody else does. If I think I’m too tired, I have to remind myself that this is art and creation, and I’ve pushed myself to exhaustion to finish projects, which always leaves me feeling euphoric. No joke, I’ve seen a sunrise or five in the name of art and writing, and everytime I sign my name, my muscles feel warm and tingly from working all night, and my bed feels cool and soft welcoming me to rest. It does nothing positive for my day job performance, but for a short while I feel accomplished. Why don’t I quit my day job and do creative things full-time? Because the work part comes in seeking out steady income to pay the bills. Perhaps that will be the new thing I try for my next birthday.